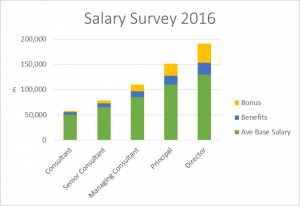 Prism Executive Recruitment has conducted its annual salary survey of the UK Management Consultancy market. 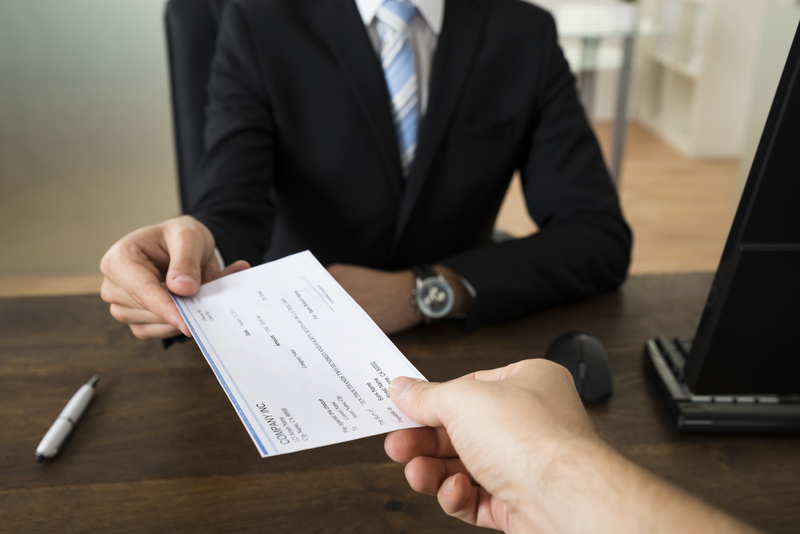 The salary survey has been compiled through the use of many relevant sources including our clients, candidates, recruiters and other information both private and published. We have deliberately not included Partner and equivalent very senior executive level roles as the great range in value, and differences in make-up, of remuneration packages make simple summary figures meaningless. The result is considerable variation in salaries and a large gap between those enjoying upper quartile packages (typically in “Big 4” and a small cohort of advisory and strategy firms) and the rest. Indeed our 2016 Hiring Survey highlights the salary pressures smaller firms feel under. These salary ranges relate to the base salary of consultants working in or around London. As mentioned the top end of the above ranges typically relate to employees of the major strategy consultancies or the highest performing consultants in “Big 4” firms. These are very experienced and successful consultants with at least 13 years’ experience and often 20 years or more. These roles have all the attributes of a Principal Consultant and will also have formal sales or revenue targets, perhaps owning account relationships and with practice leadership responsibilities for a sector or service line – either “virtual” or direct staff management. Utilisation is typically 15%-50%. In smaller firms these staff might be the most senior consultants apart from the owner(s) or MD while in mid sized organisations or the consulting arms of IT/outsourcing businesses they might report to the Board or Head of Consulting. In the Big 4 and major advisory firms the Partner grades would be above this and Partners would own the larger accounts and have higher sales targets. Download the full Prism Executive Recruitment Salary Survey 2016 as a pdf here.